If you would like to have a great and adventure of the jungle story in your life it is a good idea if you come and join our exotic jungle journey. A combination jungle tour : jungle trek with rafting on the way back (return trip) While you listening to the bird or other wildlife voices, it is still a lot of chances to see the wildlife such orangutans, siamangs, white handed gibbons, wild pigs, honey bears, snakes, horn bills, turtles etc. You can see the appereance of the wildlife in the open zoo. Walk up and down hills through the GUNUNG LEUSER NATIONAL PARK (TROPICAL RAIN FOREST OF SUMATERA) full of endemic flora and fauna. In the afternoon the group arrived in the camp site, the guide crew will build a tent for over night. The participants can see and help the crew to cook for the dinner. (camp site situated right on the banks of the beautifull river in the middle of the jungle) A beautiful swimming area could be enjoy in front of the camp site.The delicious food will offer for the dinner. SO WHY THINKS ELSE? Just come and join us. We will offer you all of our best things by our journey. 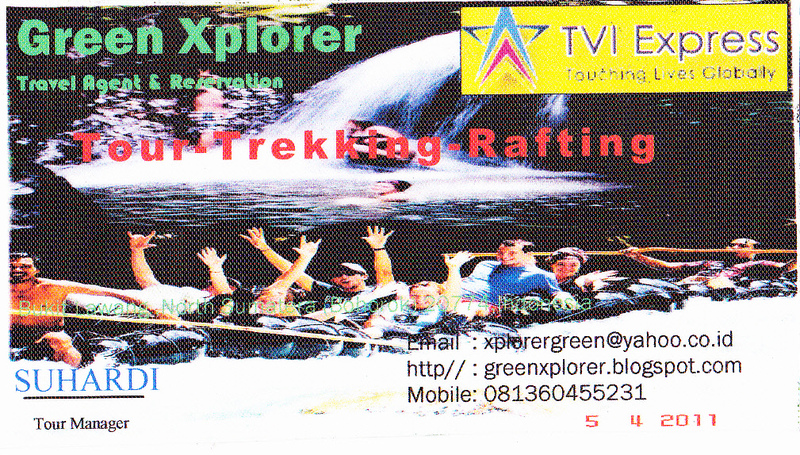 Plus rafting on Bohorok river extra cost 10 Euro per person or rafting on Berkail river extra price 20 Euro per person. we arrange from 3 hours up to ten days EXOTIC JUNGLE ADVENTURE. These prices are included : entrance fee, guide and crew fee, meals, tent and tube rafting during the trip.